When you get a generator, you want to be able to monitor it easily so you can tell whether or not something is wrong. You don’t necessarily want to go outside and listen for issues because, although strange sounds are a good indicator something is wrong, they don’t always reveal everything. One of the easiest ways to make sure your generator is in good working order is through Internet monitoring. Internet monitoring allows you to stop and start generator exercises right from your computer via the Internet. Kohler’s OnCue Plus is the perfect example of this because a generator owner is able to monitor their generator from their computer, tablet, or mobile phone. As long as you have an Internet connection, you can monitor your Kohler generator. Through a Kohler OnCue Plus account, you can see if your generator is running, if it has stopped, check warnings, and see if utility power has been restored. You can check the generator settings, generator load, engine hours, the last time the engine ran, and over 20 different parameters. You can also start and stop generator exercises from your computer or mobile device. 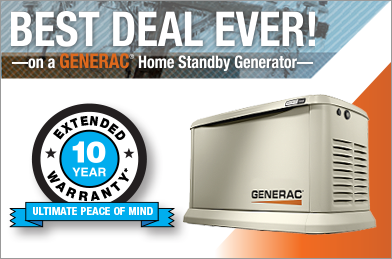 This is a great way for you to know what is happening with your generator at all times. If something is wrong, you will be alerted and then you can alert your generator company. This allows you to have issues addressed much faster than you would otherwise, thus helping you extend the life of your generator so you get the most out of your investment. By monitoring your generator over the Internet, you are able to get the most out of your unit and be completely involved with its operation. You don’t have to be “left in the dark” as to how your generator is behaving and its needs.